The Candlewood Suites Virginia Beach offers upscale extended-stay accommodations in the heart of the city's thriving town center and central business district. We are only minutes away from the oceanfront, downtown Norfolk, military bases, and most area businesses. Our location also allows for easy access to and from Interstate 64 and 264. With a smart and functional design, the hotel provides all of the comforts of home for business and leisure travelers. 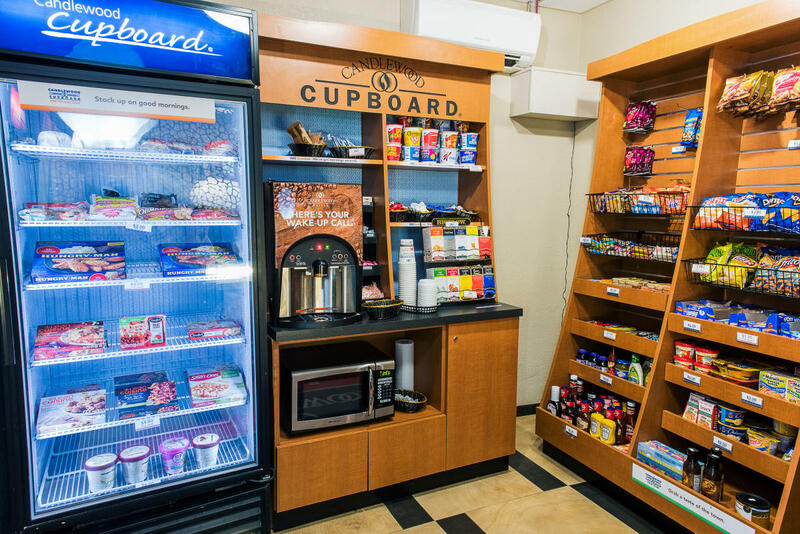 Each suite has a full kitchen, over-sized executive desk, free high-speed wired and wireless Internet access, a 32" flat screen television, and a DVD/CD player. 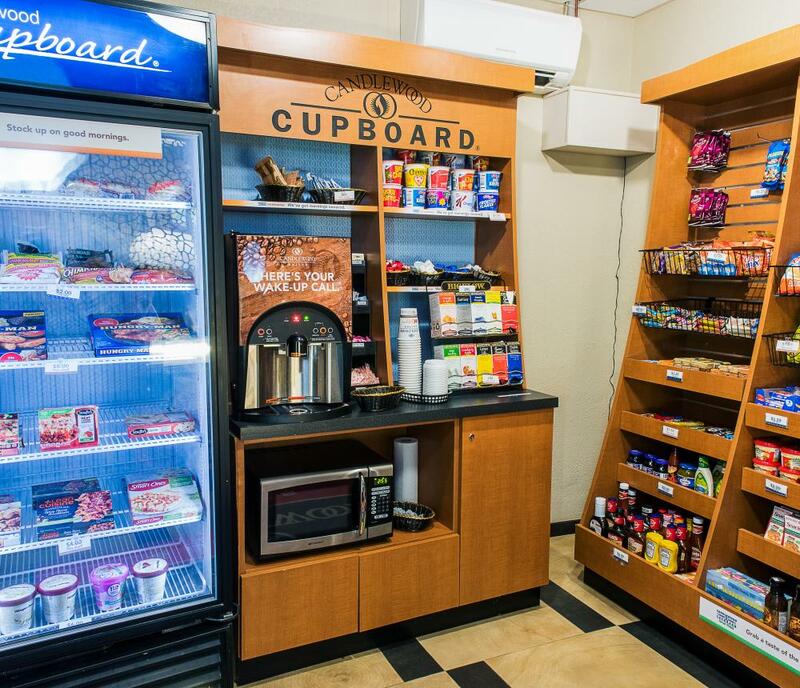 Our guests enjoy 24-hour access to the Candlewood Gym and the Candlewood Cupboard, our honor system sundries store that provides breakfast, lunch and dinner items at affordable prices.